If you have attended the Carlisle portion of our Grand National event previously, then you already know what the weekend holds. 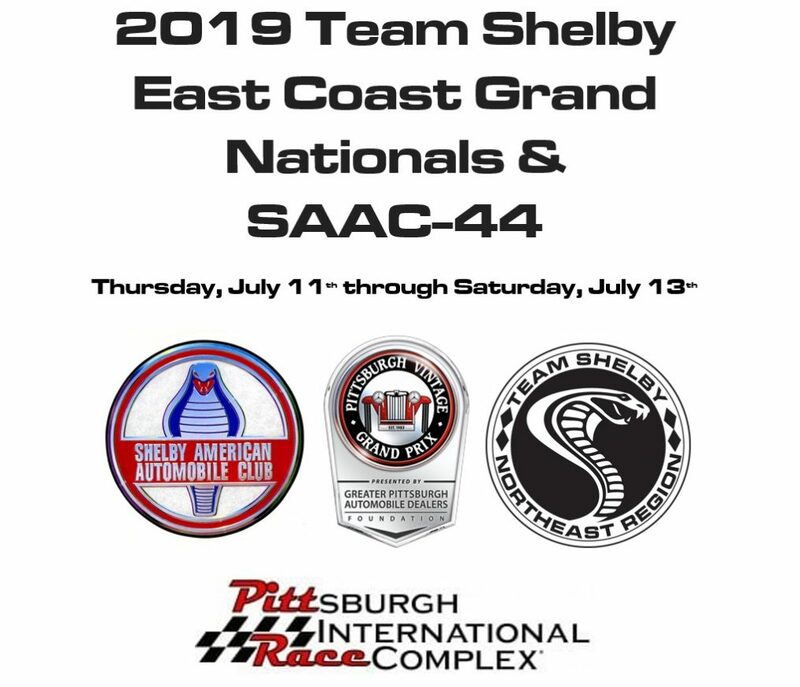 Although this years event stands on its own (since we will hold the Grand Nationals/SAAC-44 out by Pittsburgh this year in mid-July), it retains all the fanfare you have come to expect, and will have some new surprises as well…. Our hospitality tent, the largest club tent on the show field, will open on Friday morning to welcome you. Friday won’t be as rushed this year, and you will have more time to detail your ride, and wander the Carlisle fairgrounds. Friday evening we will be moving to a new venue for our Team Shelby dinner program. I won’t spoil the surprise, but your gonna like the new place we selected. As part of the activities, we will host our “Cars Under the Stars” car show, as it has now become a traditional part of our visit to Carlisle. 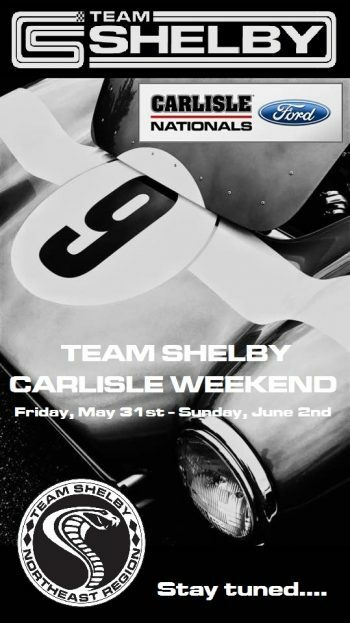 Saturday will find Team Shelby/Shelby American on the Carlisle Main Stage for a walk-around with one of the latest Shelby vehicles. We will host lunch in our tent, and announce the winners of the “Cars Under the Stars” show. In the afternoon, take part in the Carlisle burn-out contest (if your tires are up for it), then stay to see who is crowned Ms. Carlisle. 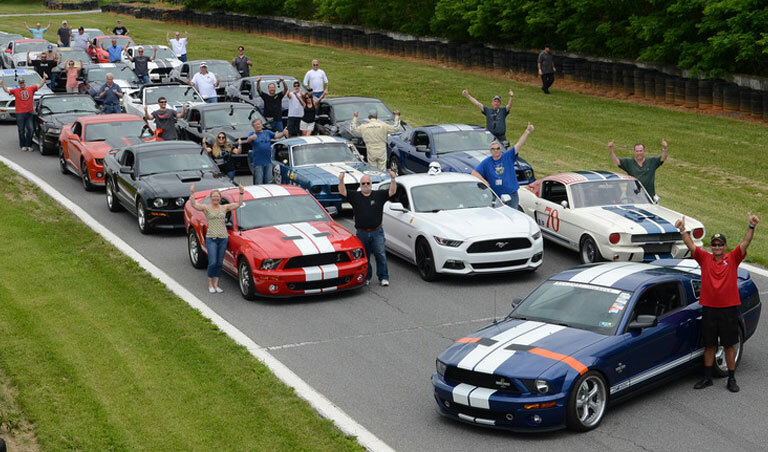 Although we try to ‘change things up’ every year, when we hit on something good, were not opposed to doing it again…especially when there is an overwhelming demand from the Shelby team. Because you asked for it, we will be go-carting again on Saturday night! You’ve had a year to hone your skills, and lick your wounds, so this years battle should be even more competitive. We will also be having a ‘cookout’ style dinner at the go-cart track. Stop by the fairgrounds Sunday morning to see if you have won an award from Carlisle, take a last walk through the show field, say goodbye to friends, and take one last picture of your car before you head for home. Friday evening dinner program in a new venue, featuring guest speakers, silent and live charity auction, entertainment, happy hour prior to dinner, complementary beer/wine bar, entertainment, and a special surprise or two. Use the PayPal link below to register…. Once registration is confirmed, host hotel information will be sent to you via e-mail.